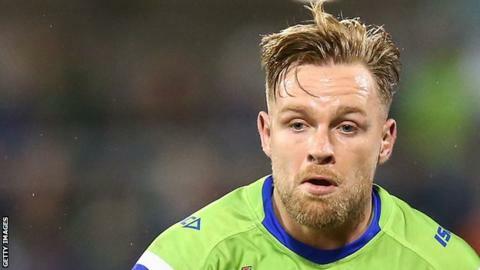 Super League clubs are considering plans to extend the use of the marquee player rule, according to chief executive Robert Elstone. Top-flight clubs voted in favour of the concept in 2015. Under the terms of the rule clubs are allowed to count the first £150,000 of a nominated player's wage on the cap and two years ago they were given the go-ahead for two marquee players. "There's discussions," Elstone said. "A number of clubs have talked about it." He added: "Whether it's ratified by all clubs - some may have different views - we'll see but it is on the agenda and clubs are aware of it. "From where I'm sitting, high-quality marquee players across the board gives us more assets to work with. "You have to work out the pros and cons. Six teams are 12-1 or less to win the Grand Final, but if you lift marquee rulings you may have three or four." Elstone, who has overseen a number of law changes including golden-point extra time, shot clocks and a reduced number of interchanges, is keen to see more high-profile recruits in the English game. Most clubs do not make use of the current provision for two marquee players but Leeds have made two such signings for 2019, while Warrington announced the signing of England international Gareth Widdop on Tuesday for 2020, when he will play alongside current marquee player Blake Austin. "I'm down the Wire route but that's for Super League to decide," Elstone said. "When Wire announced Blake, I said to Warrington chief executive Karl Fitzpatrick it was the best news since being in the job and this is as good. "Our game is about players and superstars and to get someone of Gareth's quality in Super League is fantastic."